Oliver Bolton of Camrascan and Richard Jones of Barker Storey Matthews in front of the new premises at 4B Osprey Way, Yaxley, Peterborough. 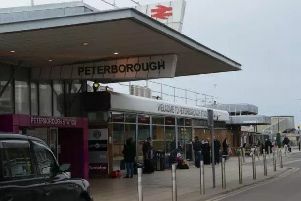 A security company in Peterborough has just moved into new premises in the city. Camrascan Security has just acquired purpose-built offices in Osprey Way, on the Eagle Business Park, in Yaxley. The firm previously leased premises on the Minerva business park but as business grew it became clear a purpose-built unit was required if the firm was to improve its services to clients. Camrascan has leased 2,000 sq ft of its new 5,000 sq ft home to Anglia Stairlifts, which relocated from Huntingdon earlier this year. Commercial agents Barker Storey Matthews Peterborough office helped Camrascan Security acquire and sub-divide and then part let the new premises. Richard Jones, director at Barker Storey Matthews Peterborough office, said: “We acted for the land owner to sell the site to Oliver and then provided advice as to how part of the site could be made self-contained and let out to a third party.